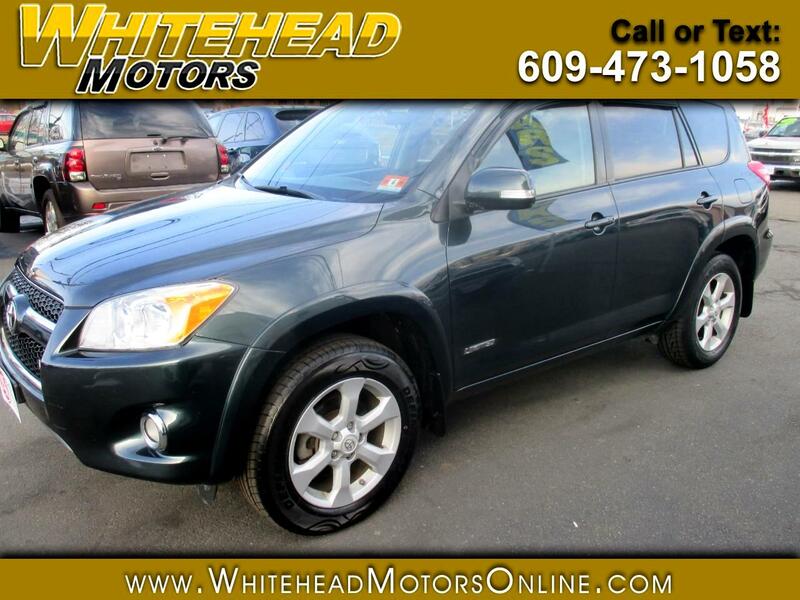 Our One Owner, Accident Free 2011 Toyota RAV4 4WD in Black Forest Pearl offers the versatility and cargo space of an SUV with the driving dynamics of a sporty sedan and the fuel score of a compact car. Isn't this what we're all looking for? Powered by a 3.5 Liter V6 that offers 269hp while tethered to a smooth-shifting 5 Speed Automatic transmission. This Four Wheel Drive combination will get you near 26mpg on the open road. The exterior is enhanced by fog lamps, roof rails, a rear lip spoiler, the unique chrome-accented grille, a large sunroof, and alloy wheels. Our Toyota crossover in the Limited trim packs a lot more than just power. Look at our pictures and check out the features list! You will find heated leather front seats, a power driver seat, keyless ignition, dual-zone automatic climate control, full power accessories, a premium AM/FM/CD JBL audio system with a 6 CD changer and available SiriusXM radio, and a leather-wrapped steering wheel with mounted controls to keep you in command of your new domain. Slide inside and check everything out. You'll be impressed. Safety features have not been forgotten, and Toyota includes ABS, stability and traction control, airbags and more to keep you and your precious cargo secure. Our RAV4 Limited is nice in more ways than you can imagine! Print this page and call us Now... We Know You Will Enjoy Your Test Drive Towards Ownership! Get Approved In Minutes at Whitehead Motors. We Make Car Buying Easy.